In 2018, it’s the cloud or bust. By “bust” we mean that traditional CPA firms that fail to adapt cloud technology trends run the risk of becoming hopelessly out-of-date. Don’t take our word for it – TechTarget’s latest article was a review of a speech given by an Oracle V.P. and the co-founder of Fast Company magazine. These two tech titans told an audience of 400 technologists that 2018 is the year for anti-cloud businesses to go belly up. Their message was blunt – adapt to the technology or perish. While the harshness of the message may cause some eye-rolling in accounting circles, it does illustrate the point that CPA firms need to reinvent their approach in the era of the cloud. CPAs that accommodate new technologies and business models into their very staid and traditional service line will continue to succeed. But what cloud solutions for small business should accountants consider next year and how should they change their practice to accommodate them? 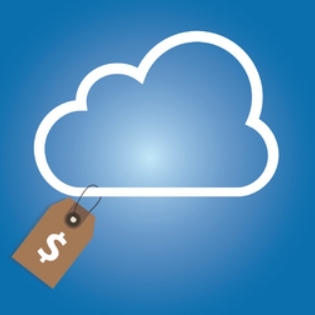 This post gives the basics of cloud solutions for CPAs. What services should these small firms consider for 2018? Interestingly, the Journal of Accountancy was talking about the cloud in 2010 in an article that laid out the plethora of cloud solutions for small business that were available to CPAs that year. Those services are all still available in the cloud, and seven years later that foundation of interconnected web servers that we call the Internet remains more stable and secure than ever before. What’s changing now is the level of impatience felt by consumers seeking a seamless and easy solution to their business or personal finances. A Wolters Kluwer study showed that the majority of small to medium-sized businesses in Australia would consider replacing their existing accountant if they did not adopt a cloud-based software. The younger the client, the more willing they were to switch. This cautionary tale for CPAs could certainly be extrapolated to fit business models in the U.S. If anything, we would suggest the American audience is possibly more enamored with the speed and cost-effectiveness of the cloud for small business. There is a strong business case for moving to cloud models in 2018. CPAs have the opportunity to use this technology to free up the time and resources needed to shift their practice to an advisory capacity. While any accountant can provide tax filing, it is the CPA-advisor model that will allow these businesses to continue to thrive as encroachment by software and even artificial intelligence changes the competitive market. 57% of the firms in the cloud are using it to back up their services. 38% are using tablets or laptops for the mobility to work remotely. 91% of the largest firms with billings of $10 million and higher are using the cloud to work remotely. 49% of the accountants surveyed are using social media for marketing. 30% use Skype for client communication. However, only 7% of the firms said they were working in a paperless environment. Software-as-a-service remains the highest service used by these accountants. A recent article from Sageworks suggests that cloud computing is also helping these firms attract and retain staff; ads that offer the ability to work remotely see roughly seven times more applicants than more traditional in-house roles. In addition to software, storage, and for marketing and recruiting, advances in automation will likely provide new opportunities for accounting firms next year. Data collection and processing are expected to automate, freeing up accountants to take on new tasks. TOSS C3 can help accountants leverage these and other cloud models. Contact us to find out about cloud solutions for small business, mid-level, or enterprise organizations. Request a quote on TOSS C3 services.